When you hear talk of a 1986 ‘vintage spec’ you start to think you might actually be a bit older than you like to admit. Yes, vintage is no longer just a classic car built in the fifties or sixties, but also a vintage spec 1986 Toyota GT86 in a rich luxurious racing green colour way. This fine creation emanates from Japan and will only be made available for the Japanese market. For anyone that buys Japanese mini LP CD replicas, you will already be aware that Japan tends to go the extra mile when attempting to do things right and with taste; and anyone seeking out this car will surely appreciate that subtle attention to detail. 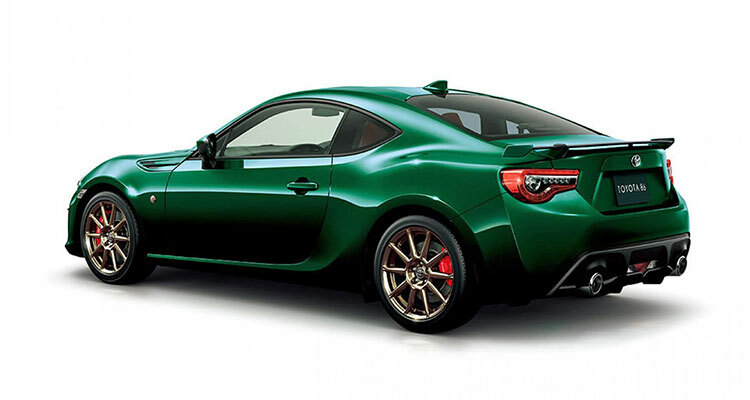 The Toyota GT86 British Racing Green Ltd is a special edition that will set the buyer back around 3.25 million yen, which is about £22,770. A bit of a bargain if you don’t mind the lack of extra power and appreciate the finer looking things in life. This GT86’s fine paintjob and lightweight gold-rimmed wheels are complimented perfectly with a tan leather interior. Larger Brembo brakes (an optional extra on the original 1986 version) sit behind the rims as standard; while Sachs shock absorbers keep the ride smooth enough. With no infotainment screen on the dash, I guess this really is indeed what we might regard now as retro vintage spec – but don’t let that put you off. It wasn’t that long ago that we baulked at cars having air-conditioning as an expensive optional extra (in the UK) and now we wouldn’t set foot in a new car without it. Apart from the Brembo brakes and (lighter than original) gold rims, the car is pretty much standard 1986 fare with a 6-speed gearbox powering a 2-litre engine. 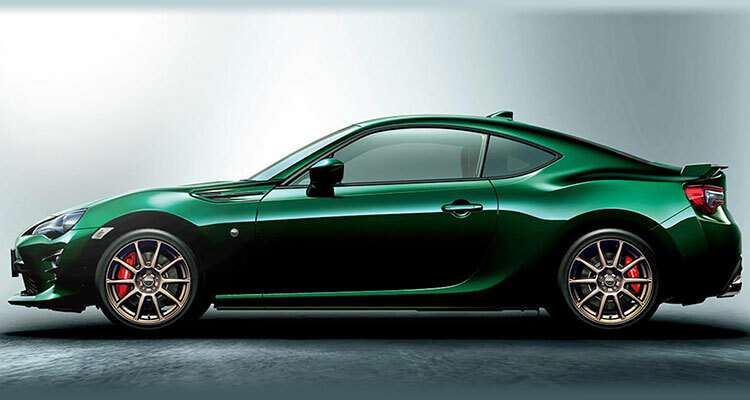 With 200hp and 151lb ft torque, it’s certainly no slouch, but I suspect that power will not be the main reason why the Japanese buy the Toyota GT86 British Racing Green Ltd; that decision will surely be based on kerb appeal and looks alone.